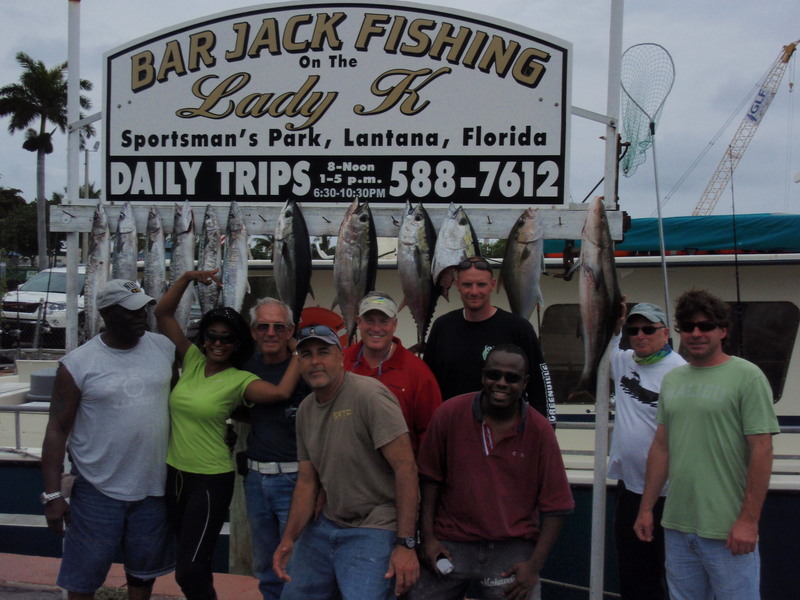 Anglers fishing aboard the Lady K this past weekend have enjoyed battling Black-fin Tuna while drifting dead sardines. 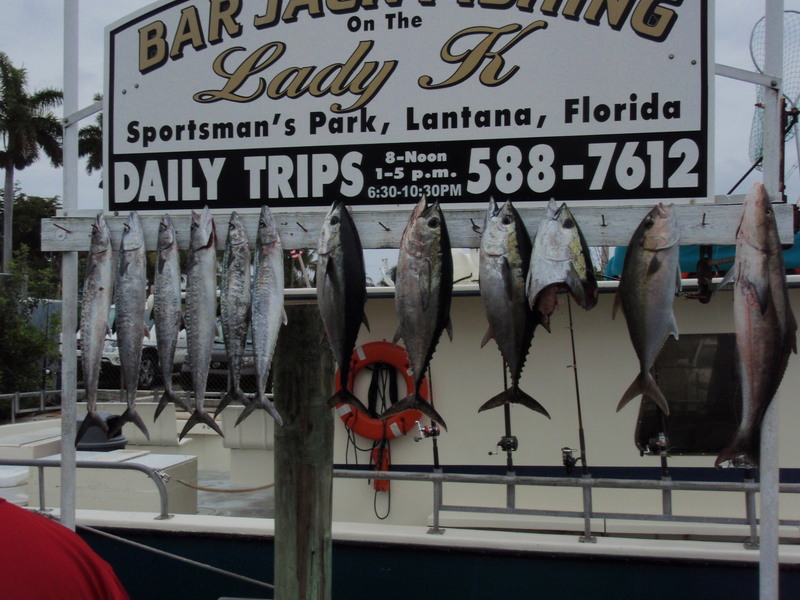 The Tuna have been ranging anywhere between 6 to 40 pounds and can show up during any one of the Lady K’s three daily trips. The Black-fin Tuna will often hit the bait hard and make a long blistering run before settling into a hard battle. Sharks will often hone in on the struggling fish causing the Tuna to run in frantic circles, sometimes even jumping from the water just yards away from the boat, creating a wonderful show for anglers to enjoy and stories to tell for a lifetime. Anglers have also been catching King Mackerel, Snapper, False Albacore, a few Cobia and releasing Sailfish during any one of our three daily trips. There is no need for reservations. Just show up at the dock and purchase your tickets. The morning trips have been very warm so be sure to stay hydrated. For a cooler alternative, try fishing during the afternoon or evening trips when there is more of a breeze and less sun.